Backup data and transfer all of your files quickly and easily with this New Plug & Play USB External Portable 2.5 inch hard drive! From SONNICS, with a slim design and a super speed USB 3.0 interface, this Hard Drive offers both style and speed with data transfer rates of up to 5Gbps, USB 3.0 (also known as SuperSpeed USB) has a maximum bandwidth rate of 5 gbps (gigabits per second) That translates to 640 MBps (megabytes per second) ten times faster than USB 2.0 (aka Hi-Speed USB). in one compact package. Its portable design makes it ideal for carrying around with you, and all it takes to connect is a USB cable. The aluminum case provides excellent heat dissipation and helps keep your drive keep cool! Whether you're using a PC or a MAC (desktop/laptop), most smart TV's check your tv manual to make sure its compatible. 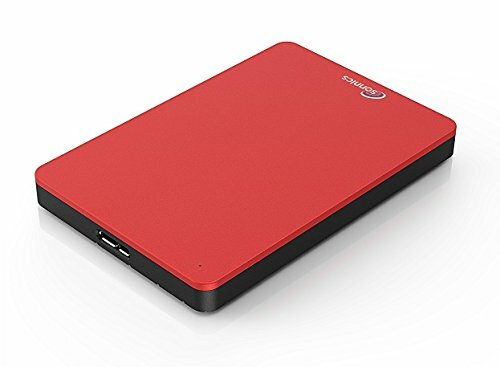 USB 3.0 Super speed 5Gbps transfer rate ultra slim and light weight Portable external hard drive. Please note for XBOX ONE Users you will need the minimum 320gb version and above the 250gb and below will not work. If you have any questions about this product by sonnics, contact us by completing and submitting the form below. If you are looking for a specif part number, please include it with your message.